It has become a tradition in our home to find a likeable television show either long after it ends or when it is nearing its’ closing finale scene. The absence of cable television has been easy on the bank account as well as the mind. TV for the last several years as declined into a stupor of moronic space fillers with unintelligent blithering fit for being stepped on once it hits a cutting room floor. 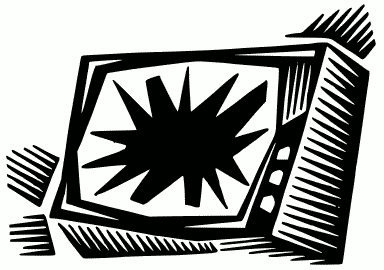 The Learning Channel is one of the most obvious examples of the declining quality of television product. It used to be a television channel about actual learning. Now it teaches an audience that psychic powers are somehow real, albeit there is no scientific proof proving otherwise, and that reality shows are somehow meant to be a glimpse into actual real life. If you run the dial with your remote even for a few seconds you will see how inviting a cable disconnection is. In all of this chaos, the good shows that provide real value for entertainment are getting lost in the madness. You can still turn to Classic Television on a great station but you are better off paying for a NetFlix subscription at a much lower cost. Netflix is great because it’s a way for you to program your content. With Netflix in particular, I have found a few shows and great movies both classic and new that have been worth exploring. Some of the fun of having a Netflix subscription is looking through different movie categories and checking out something that you hope might be good. With movies and TV shows that fall under the “Critically Acclaimed” category, I like to pick one and try to get into the story while figuring out why it was so critically acclaimed. My natural tendency to pick out things in the writing never overshadows the enjoyment of movies and shows either. If anything it enhances it because I learn so much from seeing the transposition of words from script to screen. The recent passing of actress Jean Stapleton, who was best known for her role as Edith Bunker in the groundbreaking “All in the Family” sitcom, made me think to a line from the classic opening song her and Carroll O’Connor would sing to start the show. How true. When you could dial up something on cable television at any time and find something that was worth watching. The benefits to not having cable TV have far outweighed everything else. So being jaded on television is perfectly fine with me. If I continue to enjoy my favourite shows of all time such as The Simpsons, Family Guy, Seinfeld, just to name a few, then why not continue with discovering a few decent shows late in their run like I did with Everybody Loves Raymond. Interestingly enough, Arrested Development is the latest one that Cheryl and I both decided to start watching. Netflix picked up the show after it was long cancelled by Fox in order to air a fourth season of episodes and it is set to continue. There are enough laughter-filled comedic moments in it that my interest is set. Dann Alexander is a freelance writer based just outside of Halifax, Nova Scotia. The Author of Planned UnParenthood – Creating A Life Without Procreating (available online worldwide) is finalizing a book of short satirical fiction for a fall release. Posted in Notes from the Frogpond.Tagged All in The Family, Arrested Development, Author, cable, Carroll O'Connor, Classic, Family Guy, Jean Stapleton, Netflix, Planned Parenthood Creating A Life Without Procreating, psychic, Seinfeld, Simpsons, television, The Learning Channel, TLC, TV.